Of all the key players in a successful trade show, few have a more significant impact than the transportation provider. Unless an exhibitor’s materials arrive and depart on time in perfect condition, the overall success of the show could be jeopardized. That’s why we focus on delivering comprehensive service to our exhibiting customers. Carney McNicholas, Inc.’s experienced trade show representatives understand the logistics of trade show management, assisting with everything from paperwork to serving as liaisons between van operators, drayage companies and exhibitors. Skilled, experienced and dependable van operators take pride in protecting your exhibit, providing pad-wrap service when extra protection is required. All trailers are air-ride equipped, reducing vibration, for the safe transportation of your exhibit. Specialized equipment such as climate control and lift-gate trailers are also available to meet your specific needs. Whether your exhibit needs require direct delivery to a show site or to a local warehouse, attending one show or on tour for a designated time frame, CMCN is capable of providing single-source control for all your exhibiting needs. Whether you are moving one high-value item or a truckload, CMCN understands your concerns and requirements for the safe transportation and on-time delivery of your shipment. When you choose CMCN as your carrier, you receive the value of world-class customer service and consistently cost-effective solutions. Carney McNicholas, Inc.’s high-value product fleet is 100% air-ride equipped and includes specialized equipment such as lift-gates and climate control trailers to meet your specific needs. Our van operators are trained, knowledgeable professionals, experienced in the proper techniques of handling high-value product items. Carney McNicholas, Inc. can fulfill special customer needs, including requirements of inside pickup and delivery, setup, minor installation and debris removal. 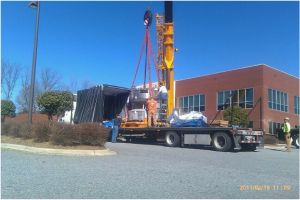 Planning the transportation of store fixtures or office furniture – or relocating an entire office or plant – can be a stressful experience. That’s when it is time to turn to Carney McNicholas, Inc. We work with you to select the options that best suit your particular requirements. Whether your transportation needs require inside pickup and delivery or dock-to-dock service, CMCN is ready to meet the challenge. 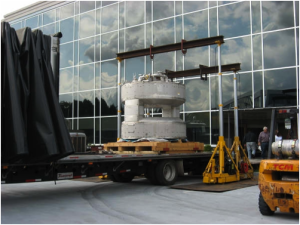 CMCN employs the latest in technology, including computerized shipment registration, load planning, and satellite tracking that monitors the progress of your shipment from origin to final destination. 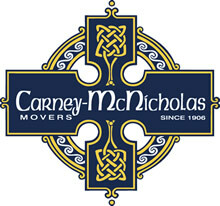 Carney McNicholas, Inc. can accommodate any size shipment, from a few items to multiple truckloads, going to great lengths to provide you with a damage-free transportation experience.